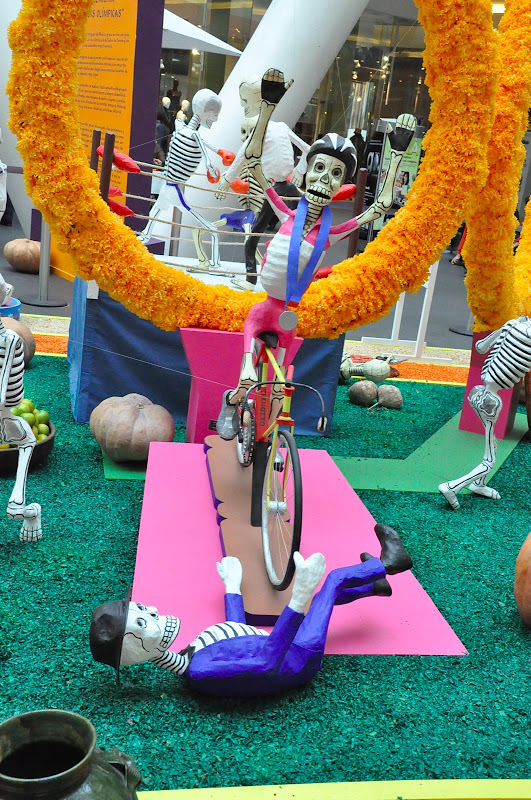 I left Mexico just before Dia de los Muertos (Day of the Dead). There were brightly coloured sugar skulls everywhere. 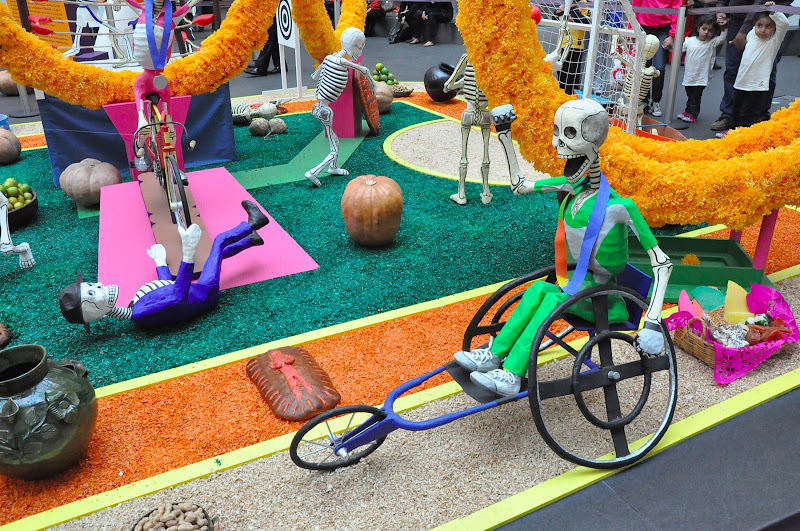 My sister sent me these pictures of an Olympic Games themed display that was in a mall in Mexico City. Check out the Benotto detail. 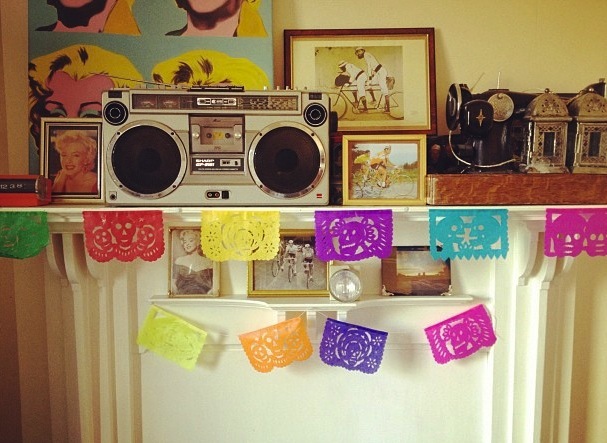 Here is my Dia de los Muertos bunting. I have no intention of taking it down. EVER.